Can we just address how windy it was here?! Oh blimey, bring on summer. I thought I’d get this up in the hope that the minute I do it will suddenly be way too hot for turtle necks, tights and a thick coat. Y’know the minute you buy wellies in winter there’s going to be no chance of snow, and as soon as you buy a pair of sunglasses the sun disappears.. that’s the effect I’m hoping for. Anyway, I’m looking a wee bit angry here but that’s mainly because the wind was blowing my eyelashes back into my head. As I’d filmed a little video on layering up (yep, still having a bash at this whole YouTube thaaang! ), I was actually quite toasty in this outfit. I love these slip dresses worn over wardrobe basics.. even though it’s shoe string straps it’s something I’ve managed to wear though out these chilly months! I guess I’m getting to the end of another season blogging wintery outfits.. Ow. As much as I moan about having to wear tights & extra layers, I get to the start of S/S & think ‘crap, I’ve gotta brave getting my legs out and can’t wear black everyday’..
Ahhh that dress is so gorgeous! So versatile! I love a good layered outfit! Love the slip dress. Amazing pink coat. really beautiful outfit once again! you look lovely! Love the look, especially the coat ! Nothing worse than the wind when you're trying to take photos! Love these layers! Love the dress, and I think its really cool how you have styled it over a high necked top. 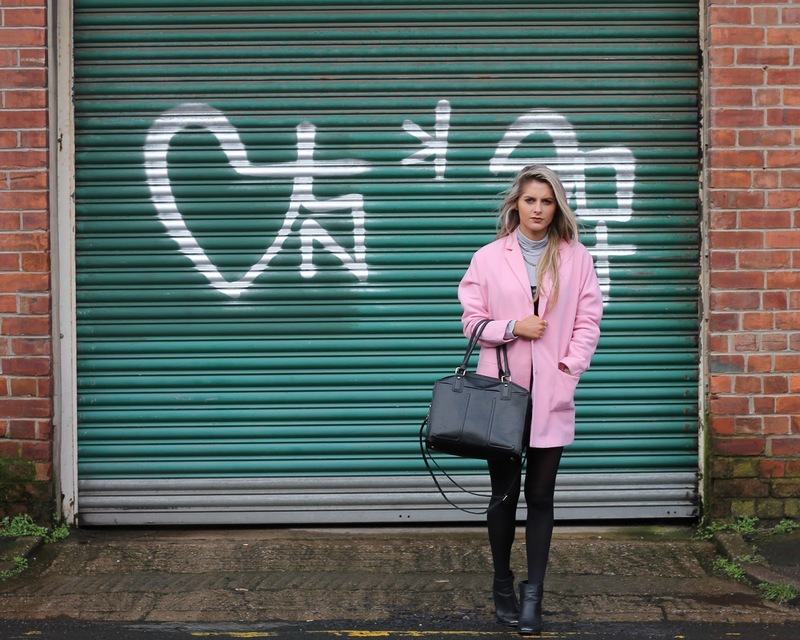 I love the over sized pastel coloured pink coat! Beautiful way to layer up the dress for on a cold day. I love your pink coat too!